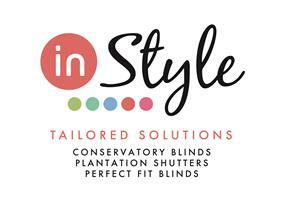 Instyle Blinds Ltd - Curtains/Blinds/Shutters based in Teesside Industrial Estate, Durham. Welcome to the Checkatrade page of Instyle Blinds ltd.
We are a family run business that has continuosly been involved in the manufacture and installation of quality roof and window blinds since 1982. Over the last 30yrs we have gained an enviable reputation as a specialist manufacturer, trade supplier and UK Nationwide installer of high quality conservatory roof blinds, Patio Awnings and Plantation Shutters, a service we have provided from Lands End to John O' Groats, Ireland and the Channel Islands for many years. Through our National roof blinds division we guarantee to not only offer you an unbeatable trade price and a truly bespoke solution to combat the heat and glare issues typically found in Orangery's and conservatory's we will also guarantee with our stunning collection of fabrics and designs to transform your sun room into a stunningly visual room that you will want to use all year round with family and friends for years to come. Unlike most roof blind company's who typically only offer one type of roof blind product ! At Instyle we manufacture all three of the best selling roof blind systems on the market- Traditional Pleated Blinds, Perfect Fit Pleated and wood weave / Pinoleum, this allows us to give you our customer the ultimate choice and the very best advice available from many years of experience to genuinley offer you the best product to suit your situation and your budget. We take great pride in the work we produce and we only manufacture our roof and window blinds with components and fabrics supplied from the leading company's around the world such as Hunter Douglas, Benthin, Eclipse, and Louvolite to name but a few. By combining complete control as manufacturers with over 35 years of experience, the best selling components and solar reflective fabrics available in the UK - a can do attitude and a wealth of experience and the love of a good challenge has won us some prestige contracts over the years from TV company's, government organisations and many celebrities to name but a few.